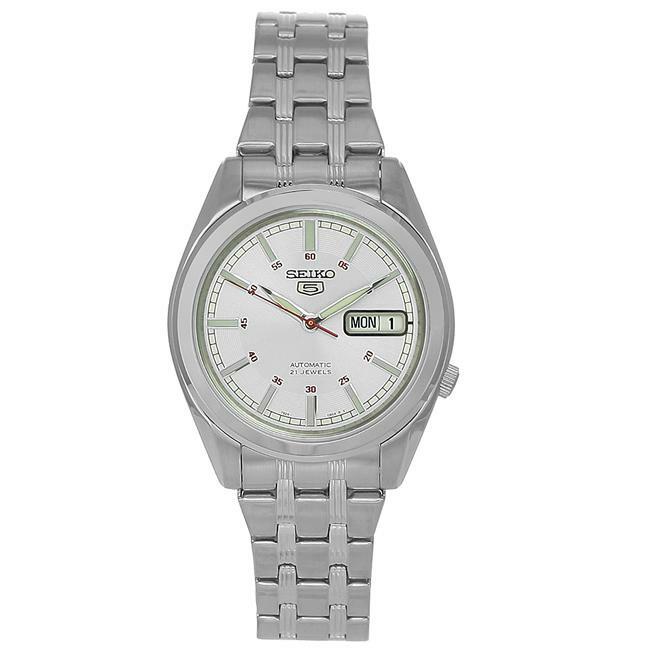 A sleek silver dial with luminous silvertone hands, index hour markers and a date and day display at 3 o'clock define this stunning timepiece from Seiko. 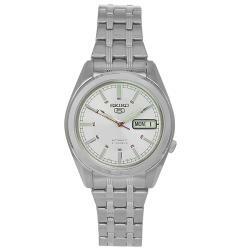 The men's watch is crafted of stainless steel and runs on automatic movement with 21 jewels. This watch is powered by automatic movement which means the winding of the spring occurs automatically when the wearer moves his/her arm. However, it is recommended that you manually wind the watch at least once every two weeks. It is also important to adjust the time once a month as automatic movement can gain or lose a few minutes per month.